When it comes to choosing business management software for your education business, it’s definitely worth the effort to find a solution that can automate repetitive tasks such as invoicing, communication, payment capturing and payroll. Automating certain aspects of your business will free up more time that you can invest in other areas of your business. When evaluating Teachworks and Teachworks competitors, be sure to pay special attention to the automation features each alternative has to offer to ensure that you choose the option that will benefit your teaching business most. Teachworks offers a number of automation features that can help businesses of all sizes save time and reduce headaches. 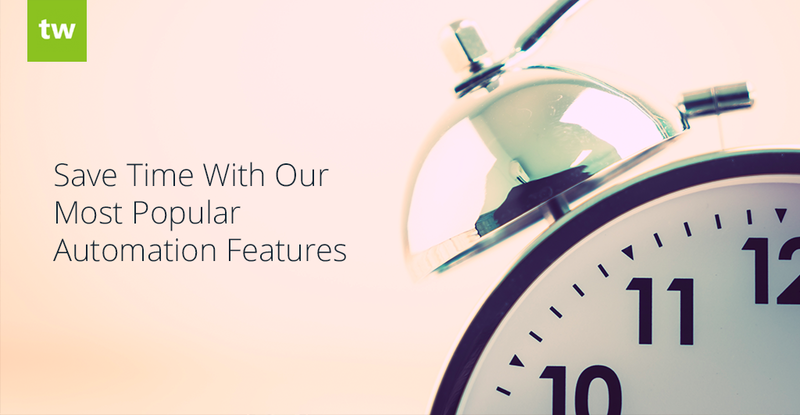 This article will explore our most popular automation features in some more detail. Teachworks lets you to send automated notifications to your customers and employees and these notifications are triggered by certain events. For example, if you’d like to remind customers and employees about upcoming lessons, you can easily enable SMS Lesson Reminders or Emails for them. These notifications will then be triggered a number of hours before lessons are scheduled to start (this will vary based on your settings). Similarly, if you’d like to remind customers to pay their outstanding invoices, you can enable the “Invoice Due Reminder” option to automatically trigger a reminder email on the day an invoice is due. Each notification has a fully customizable template that you can modify based on your unique business needs. You can use one of the many merge tags available for each notification to further personalize your message. Learn more here: Customizing Notification Templates. Our Invoice Autopilot Add-On allows you to automate invoicing by setting up an invoice schedule that will generate invoices automatically. Invoices are generated in the background, so whether you generate 10 or 10 000 invoices at a time, the amount of time and labour spent on invoicing will be the same. The add-on comes with a number of customizable settings to accommodate your unique billing preferences. In some cases, your billing needs might be a bit more complex and you may have different arrangements with different customers. For example, you may have customers that you’d like to invoice for a flat fee each month, others that need to be invoiced at the beginning of the month for upcoming lessons, and a third group that needs to be invoiced at the end of the month for lessons that occurred during the month. In this case, we’d recommend grouping your clients by payment preference and creating a separate invoice schedule for each group. Teachworks also offers an Invoice Flag feature that will automatically flag invoices when scheduling changes are made that affect invoice totals. These changes can quickly and easily be accounted for by simply following the prompts on the screen when viewing the flagged invoice. Our Stripe Integration allows you to easily process credit card payments online. You can choose to add a “Pay Online” button to your invoices to allow customers to pay their invoices right away. This feature can help you and your staff save more time since you won’t have to follow up with customers to process their payments. Once they’ve made payment, the payment will be recorded automatically and the invoice will be updated to a “Paid” status. Our Stripe Integration also enables you to charge credit cards on behalf of your customers. To further streamline the billing process, we’ve added a Bulk Invoice Payments feature. This feature lets you select and submit invoices for payment in bulk – simply select the invoices to pay and the payments will be processed in the background. The amount of effort required will be the same regardless of how many payments you process at a time. Teachworks makes it really easy to keep track of employee hours and earnings and eliminates the need to collect and re-enter data from teacher time-sheets. Teacher hours and earnings are automatically pulled from the Teachworks calendar, saving you tons of time and ensuring accurate data every time. Teachworks and other software alternatives offer a number of automation features that can greatly benefit your business. If your aim is to streamline business processes, look for a solution with plenty of automation features that can handle repetitive tasks for your teaching business. Teachworks offers a number of automation features that, if implemented correctly, can help you cut down on tedious administrative tasks and reduce your workload and stress levels.